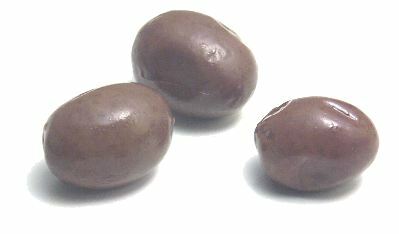 A staple of Mediterranean cuisines, olives are most often eaten out of hand, though cooks also use them to flavor everything from pizzas to martinis. 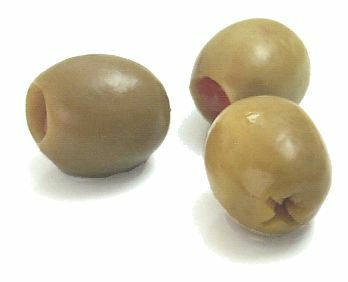 Raw olives must be cured before they can be eaten, and the curing medium--usually lye, brine, or salt--affects their flavor and texture. So too does the olive's degree of ripeness when it's picked. 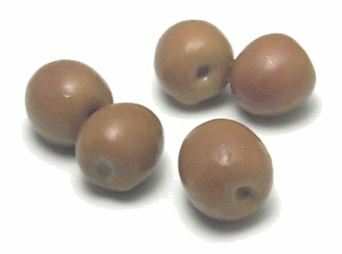 Green olives are picked while unripe, which makes them denser and more bitter than brown or black olives, which stay on the tree until fully ripened. 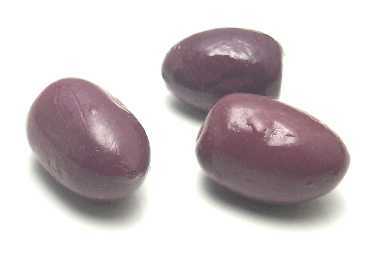 Olives become bitter if they're cooked too long, so always add them to hot dishes at the last minute. 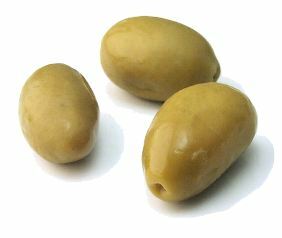 Opened cans or jars of olives should be refrigerated, but some olives can be stored at room temperature if they're submerged in brine or olive oil. 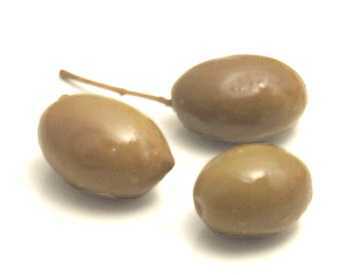 Agrinion olive Notes: This is a large, green Greek olive with very tender flesh. 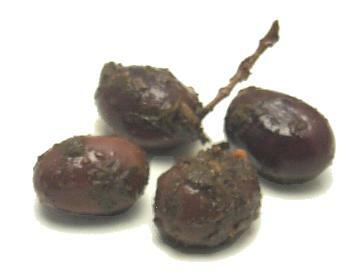 black olives = ripe olives Notes: These are olives that have been allowed to ripen on the tree. 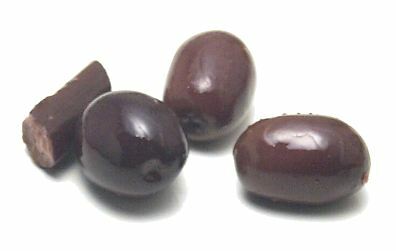 American recipes that call for black olives are probably referring to the Mission olive. 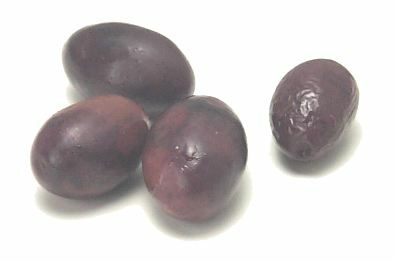 Other varieties of black olives are the Aleppo, Alphonso, Amphissa, black Cerignola, Gaeta, black Greek, Kalamata, Ligurian, Lugano, Moroccan dry-cured, Niçoise, Nyons, Ponentine, and Royal. 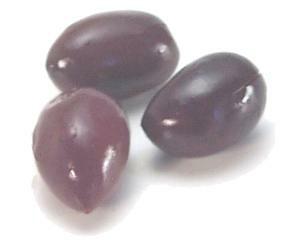 Cerignola = Bella di Cerignola Notes: These Italian olives are very large and have a sweet flavor. 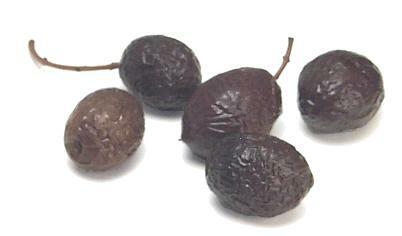 Black Cerignolas are softer than green Cerignolas. 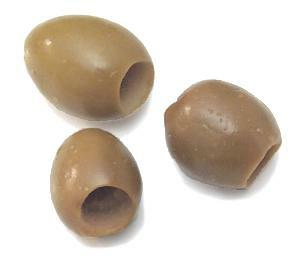 cracked Provencal = cracked Provençal Pronunciation: proh-vahn-SAL Notes: These aromatic green olives are marinated in a solution with herbes de Provence. 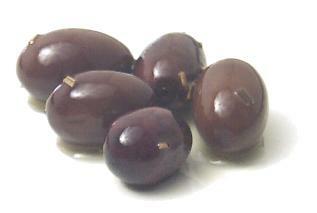 empeltre olive Notes: These Spanish black olives are soaked in sherry. 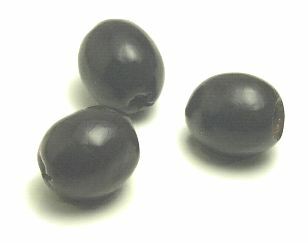 Greek black olives Notes: A generic black Greek olive is large, dark purple and brine-cured. 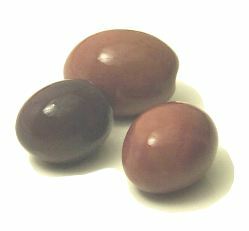 Popular varieties include Kalamata, Amphissa, and Royal. 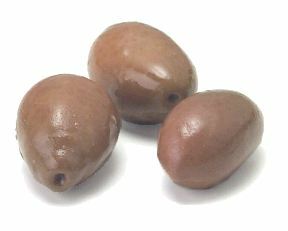 Greek green olives Notes: Napfilion and Ionian olives are the most common types of green Greek olives. 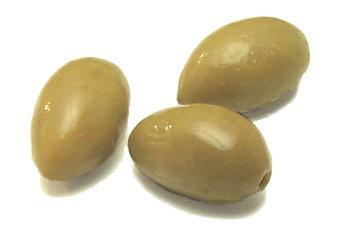 Hondroelia olive Notes: This is a juicy, meaty olive. 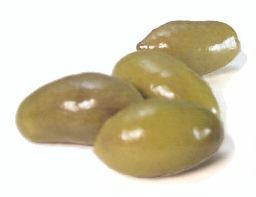 Lucque olive Notes: These green olives are brine-cured. 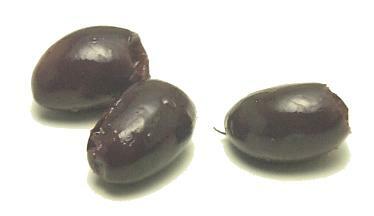 Lugano olive Notes: These are salty Italian black olives. Moroccan dry-cured olive = Moroccan oil-cured olive = Moroccan salt-cured olive Notes: These are shriveled black olives that are somewhat bitter. 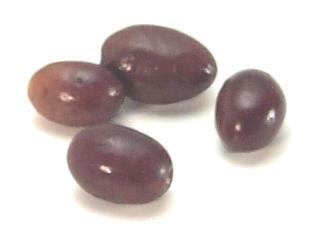 They're best used for cooking rather than snacking. 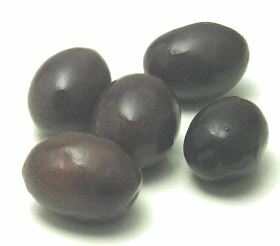 Nyons olive Notes: These black, slightly wrinkled olives from France are salt-cured. 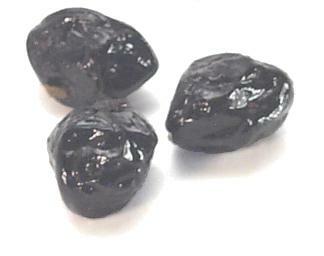 Ponentine olive Notes: These are mild Italian brine-cured black olives. 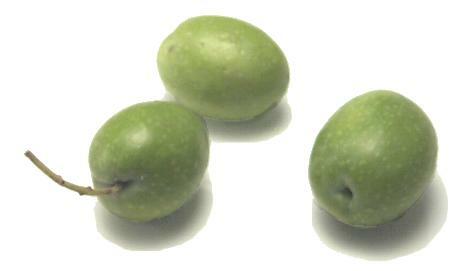 raw green olive Notes: These are for the rare cook who's intrepid enough to cure olives from scratch.